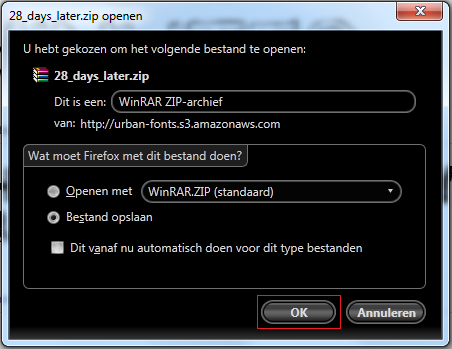 How to download and install a new font to your computer. How to download and add a new font to your computer. 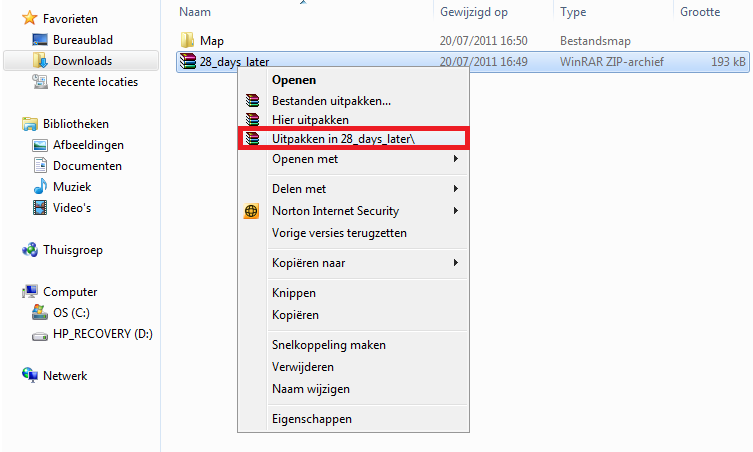 IMPORTANT : My Pc is working in Dutch. http://www.urbanfonts.com/ (I used this one). Now you chose a catogory. Let's say we use 'Dirty'. 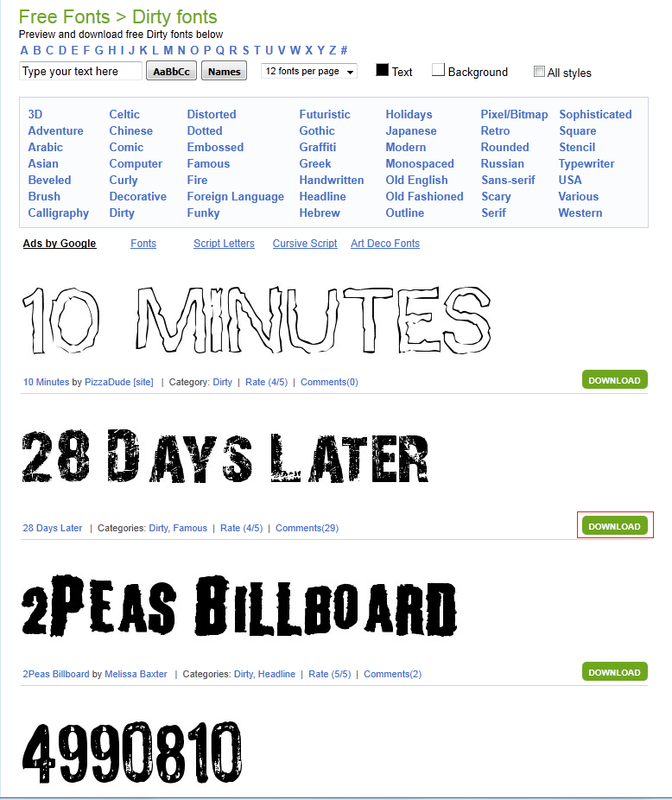 Now u get a list off all fonts classafied under 'Dirty'. Now pick one u like, I will use '28Days later'. Click 'Download'. Now this box opens, and chose to 'Save the file' and click 'ok'. Now once the file has finished downloading, u go to your documents and search for the file. (Most likely in 'Downloads'). Now there is a new map called '28_days_later'. Open it and there is your font :). Now, u downloaded it, it's time to make it work eh? 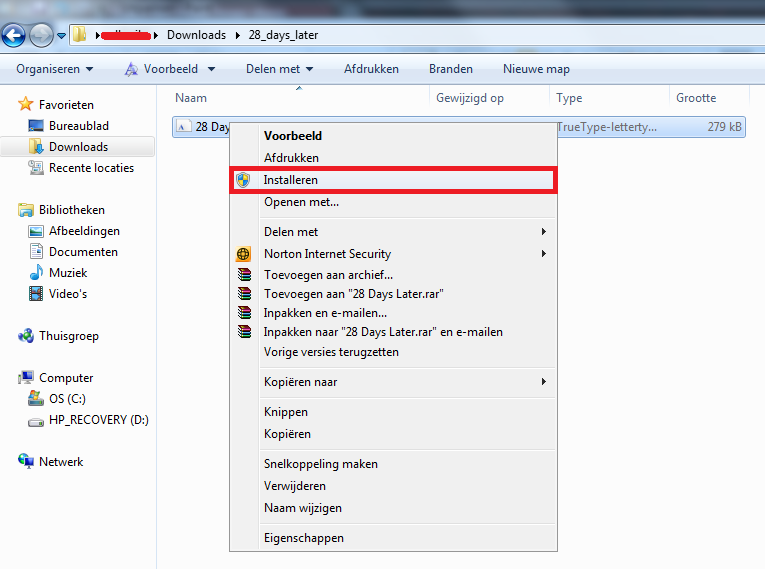 If u use Windows 7, try right clicking it and take 'Install'. If u don't have an 'Install' optin. COMPUTER -> WINDOWS -> Fonts.